Soldier-Statesmen have a clear understanding of the bedrock values shared by our Founding Fathers and forged in our nation’s Declaration of Independence, Constitution and Bill of Rights. Many among our ranks were inculcated with the knowledge that freedom truly is not free by our fathers or grandfathers who served in World War II and fought a global war against tyranny and oppression. We, like those who came before, believe that freedom and liberty are bestowed by our Creator. Those selected for membership embody the highest traditions of military service and civilian leadership among our citizenry. For these men and women, their service did not end upon completion of their military duty. Instead, it only served as a beginning of a different sort of commitment to community and country that will guide them for the rest of their lives. 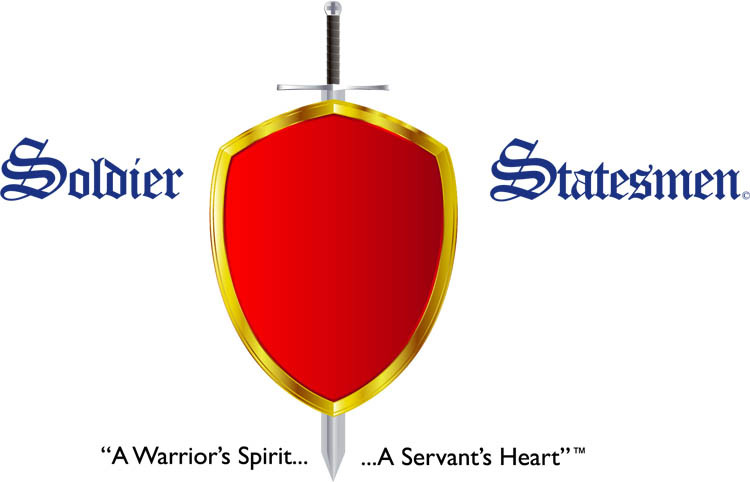 Soldier-Statesmen have demonstrated moral fortitude, perspicacity and courtliness that comport with a steadfast desire to consistently choose the path of decency, honesty and goodness. Simply, they are committed vanguards of all that is virtuous. The Soldier-Statesmen have each shared the great honor of having been a soldier, sailor, airman, marine, or coast guardsman; and now, in the footsteps of powerful tradition, longstanding nobility and worthy sacrifice, they seek to exemplify the true meaning of patriotism and altruism through their daily living and leadership with a warrior spirit and a servant’s heart.